Ask a bunch of photographers what their favorite lens is - and you will likely hear the Canon EF 50mm f/1.4 USM Lens mentioned. It is sharp, small, light, inexpensive and with an f1.4 aperture, fast. The 50 f/1.4 finds a home with many photographers - from pro to casual - for several reasons. 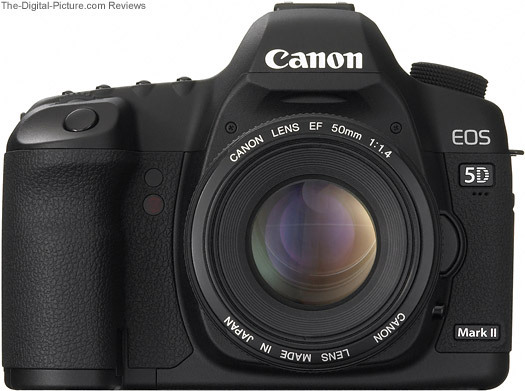 The first reason for the popularity of this Canon lens is image quality. Although it is soft wide open, the Canon EF 50mm f/1.4 USM Lens is sharp at f/2 and very sharp when stopped down to f/2.8 or narrower. Corners are soft until f/2 for 1.6x FOVCF bodies and f/2.8 on full frame bodies. Strong halation is present at f/1.4 (a soft, dreamy look) with some CA (Chromatic Aberration). Colors and contrast (after the halation diminishes at f/2 or so) are very nice. The 50 f/1.4's 8-blade aperture creates a good foreground/background blur quality. Light fall-off is noticeable through f/2 on a Full Frame body, When mounted on a 1.6x FOVCF body, light fall-off is noticeable only through f/1.6 or so. My exposures with this lens run about 1/3 stop brighter than with most of my other lenses. The small size (WxL: 2.9" x 2"/73.8mm x 50.5mm) and light weight (10.2 oz/290g) are partially responsible for the popularity enjoyed by the Canon EF 50mm f/1.4 USM Lens. This lens is not a bother to carry mounted - or in a jacket pocket for use as needed. Overall build quality is decent but not excellent. While the metal lens mount is good, the focus ring fit and function is only adequate. The 50 f/1.4 features a quiet but not-so-well-damped Micro USM (Ultrasonic Motor) motor - this is good but not as good as the Ring USM motors in many of the higher quality Canon lenses. FTM (Full Time Manual) focusing is supported. The 50 f/1.4 extends up to 5/16" during focusing - the filter does not rotate. One of the most influential factors of this lens' popularity is the low price. Most of us care deeply about this factor. The 50 f/1.4 is a really good value lens. Over and over, the Canon EF 50mm f/1.4 USM Lens (above center) is compared to one of Canon's other 50mm lenses - the Canon EF 50mm f/1.8 II (above left) and the newer Canon EF 50mm f/1.2L USM Lens (above right). The same lenses are shown below with their lens hoods in place (optional with the two non-L 50mm lenses). The downsides ... First, the 50mm f/1.8 lens feels like a toy (for the relative price, it is practically disposable). It has all-plastic construction including the lens mount (the optics are glass of course). A 5-blade aperture delivers a very harsh background blur quality and flare is a problem for this lens. It delivers only adequate color compared to the two other 50s. AF is noisy and the MF ring is barely useable - there is no FTM and no distance window or markings. But, it is a very sharp lens for a price that is a small fraction of the cost of the 50 f/1.4. The Canon EF 50mm f/1.4 USM Lens falls in the middle of the three 50s I am discussing in many ways. It has the middle price, the middle build quality, the middle weight, the middle size ... It delivers the middle background blur quality - much better than the f/1.8 but not as good as the f/1.2. It shows the middle amount of CA, but often shows strong halation at f/1.4. 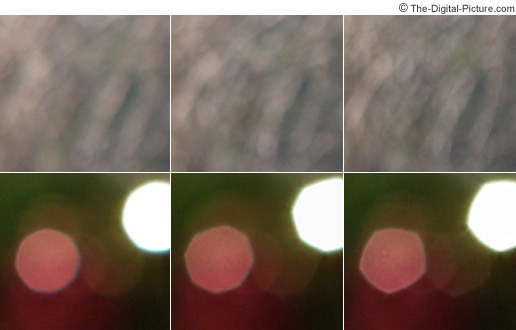 It also shows the middle amount of flare - noticeably less than the f/1.8 and noticeably more than the f/1.2. Again, in the vignetting category, the 50 f/1.4 delivers better performance than the f/1.8 but does not perform as well as the f/1.2 (at the same aperture settings). It is slightly sharper than the 50 f/1.2 from f/2.something through f/8 or so and slightly sharper than the 50 f/1.8 at all comparable apertures (the f/1.8 wins some Full Frame corner comparisons). 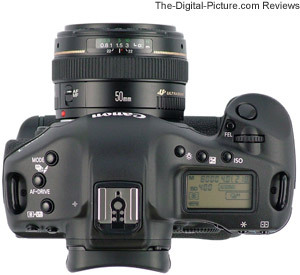 The 50 f/1.4 quietly focuses slightly faster than the f/1.2, but is not well damped. The f/1.4's MF ring is much more usable than the 50 f/1.8's but is not nearly as nice as the 50 f/1.2's. My 50 f/1.4 exposes 1/3 stop brighter than the other two 50s (the other two being correct). The 50mm f/1.4 delivers excellent image quality for the price. 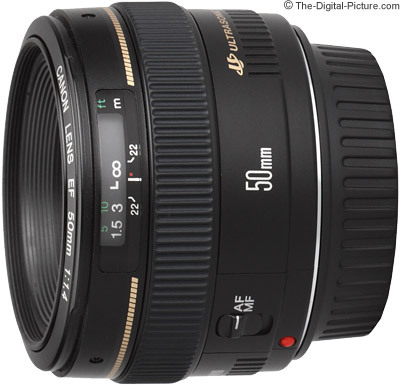 The Canon EF 50mm f/1.2L USM Lens is by far the most expensive of the three lenses. My biggest disappointment with this lens is its lack of sharpness. For the price, I would expect to see it easily beat the other two 50mm lenses in this regard. Below f/2 or so, it is the sharper lens at the same aperture settings. Beyond this, it is not. Focus speed is not faster than the f/1.4 but it does utilize Ring USM and the manual focus ring is very smooth and well damped. It does not extend during focusing. The 50 f/1.2 has better flare control with far less halation at wide apertures, but it shows the most CA wide open. The 50 f/1.2 is a far-better built lens than either of the other 50s - as you would expect for a Canon L Series Lens. It also is larger (3.4 x 2.6" / 85.4mm x 65.5mm) and weighs more (19.2 oz / 545g). The 50 f/1.2 is weather-sealed (when equiped with a filter). Unlike the other two 50mm lenses, I don't regard this lens as a great value - but it is worth the price to those who need/want its advantages. The image quality of the Canon EF 50mm f/1.4 USM Lens is similar to that of the far more expensive Canon EF 24-70mm f/2.8L USM Lens at 50mm at the same aperture settings. In fact, I would give the edge in corner image quality to the 50mm f/1.4 from f/2.8 to f/4.0. Otherwise, the two lenses are similar. Color was also similar between the two. If you are choosing between these two lenses, image quality should not be a differentiator for you. 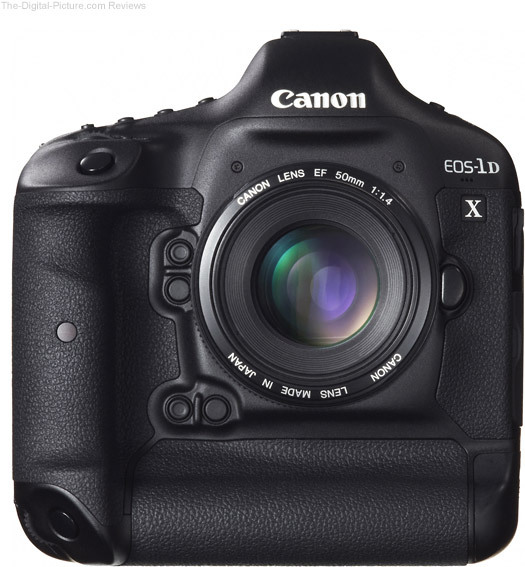 With a minimum focus distance of 1.5' (.45m), the 50 f/1.4 has a relatively low maximum magnification of .15x. Adding extension tubes take maximum magnification to .39x and .68x for 12mm and 25mm tubes respectively. The 50 f/1.4 takes the optional ES-71 II Lens Hood and ships with no lens pouch/case. A Lowepro Lens Case 1W works very well for this lens with the hood installed. Without the hood, a Lowepro Lens Case 1s would provide a more compact solution. The 50 f/1.4 has a small 58mm filter size - a relatively inexpensive size. The 50 f/1.4 is a good lens and focal length for full-body portraits. Keep in mind that when mounted on a 1.6x FOVCF body, you need some extra space to accomplish the full-body portrait. On these bodies, this lens makes a fine head/shoulders portrait lens as well. The 50 f/1.4 makes a good travel lens - especially for low light situations not easily handled by a general purpose lens. When space is tight and light weight is important, this lens might be the right one for you. The 50 f/1.4 is shown above mounted on a Canon 1D X DSLR and compared the higher quality Canon EF 50mm f/1.2L USM Lens. If you only need a 50mm focal length, this lens is a great choice. Overall, I think the Canon EF 50mm f/1.4 USM Lens is a good lens - and a very good value.